I can only find (on their website, and on other nutrition websites) the macronutrients of Guinness. Can someone provide a specific breakdown of micronutrient information for Guinness, or another similar stout? By micronutrients I mean vitamins, minerals, amino acids, etc. I'm willing to bet that The Irish Food Composition Database has a similar report on Guinness, but the document must be purchased for 15.00€ from EuroFIR. According to a table of contents viewable in the demo link, the document should contain compositions of 57 manufactured beverages. Perhaps you can infer some properties of Guinness by knowing its ingredients and process and also knowing how these ingredients and processes affect micronutrient levels. nicotinic acid (niacin, B3) fluctuates throughout the malting and brewing process, but also results in nutritionally significant amounts (e.g. three-and-a-half to four pints supplying total daily requirements). 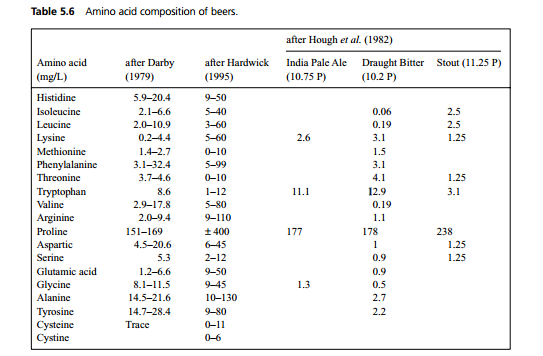 This study2 measured phylloquinone (K1) composition of beers, specifically a "bitter," a lager, and Guinness, and concluded only trace amounts in each. 1 Stringer, W. J. Vitamins in Beer. Journal of the Institute of Brewing. 2013. 2 Bolton-Smith, C. et al. 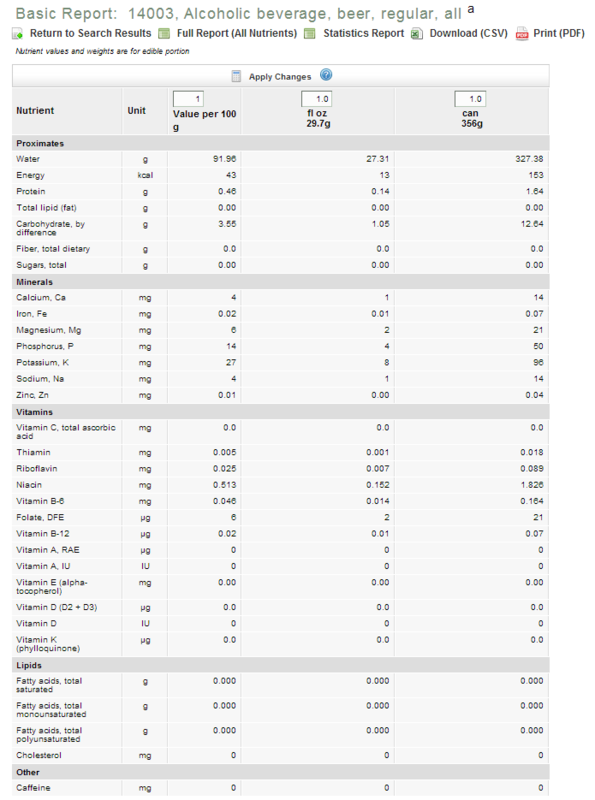 Compilation of a provisional UK database for the phylloquinone (vitamin K1) content of foods. British Journal of Nutrition. 2000. Not the answer you're looking for? Browse other questions tagged stout porter nutrition or ask your own question. Are stout and mild the same thing?